Source : Greenpeace. 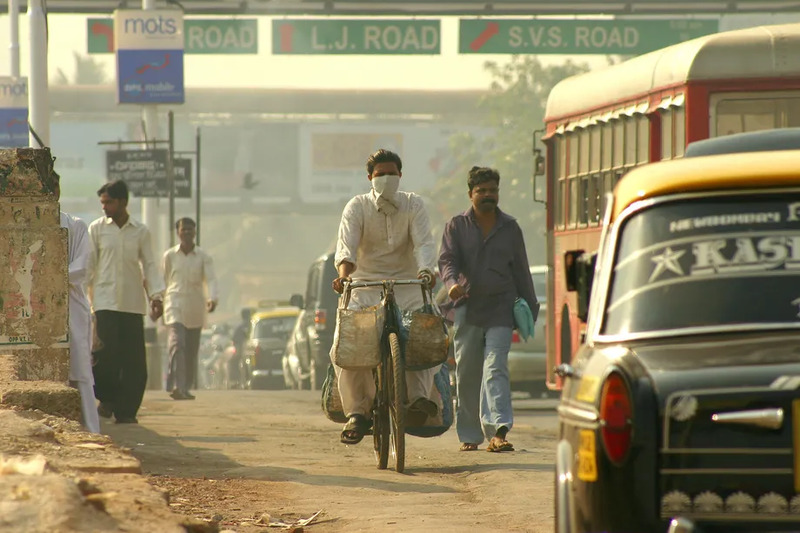 (2015), Airpocalypse: assessment of air pollution in Indian cities. Air pollution can have adverse impact on human health, it can reduce average human life expectancy depending on degree of exposure. The Maharashtra Star Rating Program seeks to reduce air pollution arising out of industrial emissions by empowering the affected people with information on Particulate matter emissions of the polluters. Particulate matter (PM) is a widespread air pollutant. It consists of a mixture of solid and liquid particles suspended in the air. The physical and chemical characteristics of PM vary by location. Common chemical constituents of PM include sulphates, nitrates, ammonium, inorganic ions, organic and elemental carbon, crustal material, particle-bound water, metals and polycyclic aromatic hydrocarbons (PAH). In addition, biological components such as allergens and microbial compounds are found in PM. Particulate matter is a key component of industrial emissions that affects that the air that we breathe. Where does particulate matter originate from? Particles are either directly emitted into the air (primary PM) or formed in the atmosphere from gases such as sulphur dioxide, oxides of nitrogen, ammonia and non-methane volatile organic compounds (secondary PM). Man-made sources of PM include the combustion of diesel, petrol, coal, lignite, heavy oil and biomass. Agricultural activity can also lead to high ammonium content in the atmosphere. Other industrial activities such as building, mining, manufacture of cement, ceramic, bricks, and smelting give rise to particular matter. PM is also formed in the air through chemical reactions of gaseous pollutants. 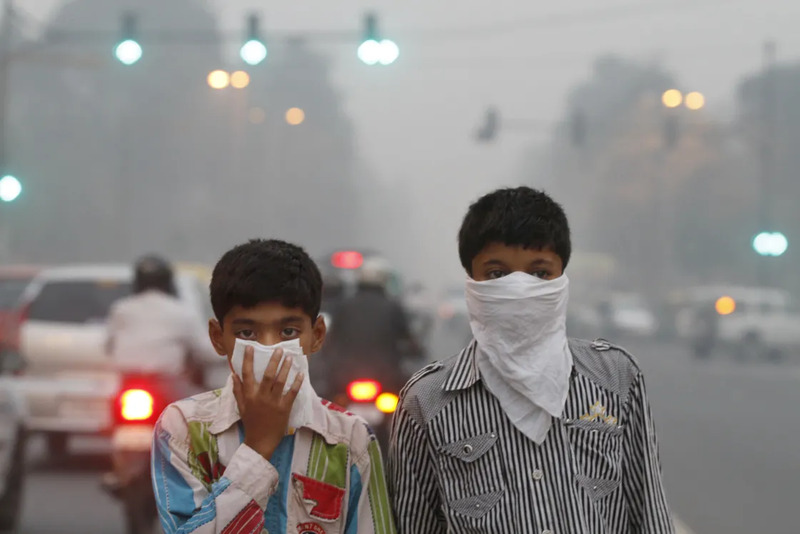 These include nitrogen oxides emitted by traffic and certain industrial processes, and sulphur dioxide resulting from the combustion of sulphur-containing fuels, when gasoline is extracted from oil or when metals are extracted from ore.
Children cover their face, attempting to protect themselves from air pollution. November 7, 2012 in New Delhi, India. How does particulate matter affect my health? Respiratory and cardiovascular morbidity: Such as aggravation asthma, bronchitis, high blood pressure etc. Mortality from cardiovascular and respiratory diseases: Such as cardiac arrest, lung cancer, chronic obstructive pulmonary disease, etc. Improving our environment requires concerted action by public authorities, industry and individuals at national, regional and even international levels. Air pollution is robbing the above number of years from your life if you live in any of these cities.